The White River of Arkansas is no stranger to floods. In April 2008, heavy spring rains pushed the river over its banks, inundating the surronding forest. 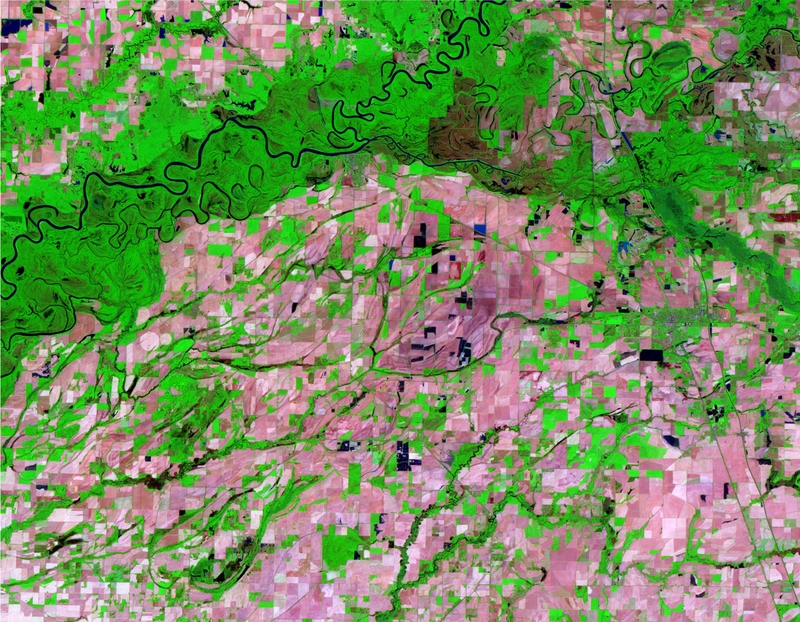 The forested land has taken on a dark tone and agricultural fields create a checkerboard of tan and green. Some of the fields also appear flooded. 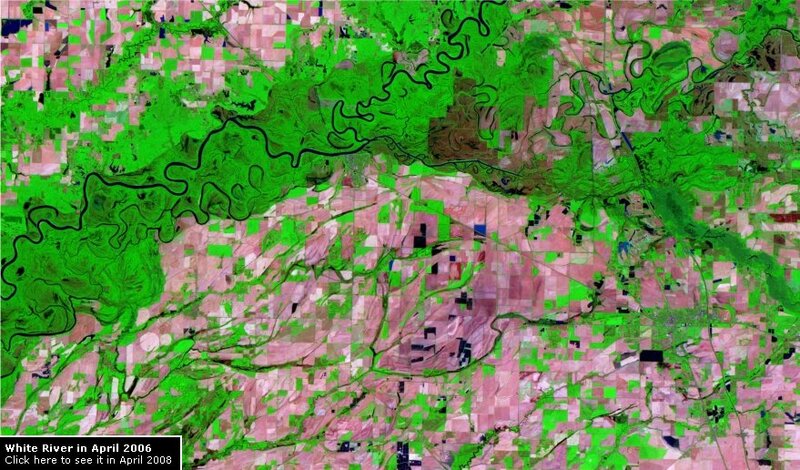 The second ASTER image was taken 2 years earlier when water levels were closer to normal. Bright green vegetation can be seen flanking the river.